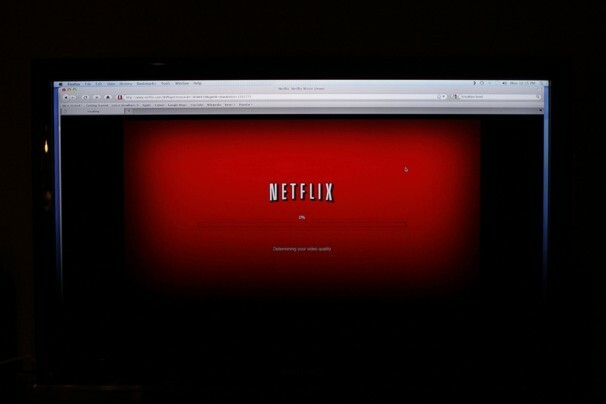 Users and industry analysts have had some less than flattering things to say about Netflix since the streaming service announced its price hike and subsequent announcement of Qwikster. The company has been painted as possibly having jumped the proverbial shark, and its plummeting market value doesn’t exactly argue otherwise. Bloomberg reports that Netflix has lost some $9 billion in market value since this past July, as well as more than a half-million subscribers. And this is making it a very attractive takeover target. It’s a company that still has obvious inherent value and provides a service that more customers than many distributors have are willing to pay for. That, coupled with its decreasing value, means that there are potentially some interested buyers out there considering acquiring Netflix. The entrepreneur goes on to say that the complications of running the DVD rental and streaming sales through one platform were incredibly divisive — and something the company experienced back when it also sold DVDs. This was profitable and good business, but executives knew everyone was about to begin selling DVDs, giving them more competition. That and “trying to run a business that did two things well” meant making unsavory comprises. So they walked away from that money and stopped selling DVDs. And it wasn’t easy. “But wow – for a young CEO like myself – turning away from the source of 95-percent of our revenue was just about the hardest thing I had ever done. Needless to say, it worked.” The rest is history and Netflix went on to see big money from its rental service, and then streaming. Randolph says history is repeating itself now, and Netflix has been stuck managing physical rentals and streaming business models. Some of the problems he believes were impetus for splitting the two are: Managing pricing for multiple use cases, determining language that “embraces two different ways to receive movies,” managing content availability differences, down to landing page complications. In short, there were technical difficulties in combining such different distribution schemes. Whether or not Randolph’s right and Netflix’s recent troubles can be blamed on growing pains as it attempts to keep up with technology and consumer demands, the fact remains that its actions have contributed to its falling market value. Maybe Netflix has the foresight to know it must plummet in order to rise, but digital media trends are anything but predictable. One thing is sure to come of Netflix shedding physical DVD rentals, and that’s Facebook integration. By getting rid of discs, the company won’t be burdened by the Video Protection Privacy Act and will be able to work with Facebook on a streaming application. Pair this with new partnerships that are making Netflix a force to be reckoned with – user outrage or no user outrage – and the company is looking like a phoenix ready to rise from the ashes of its much-mocked recent corporate decisions. We’re uncertain how long it will take for Netflix to reclaim its prestige, but the potential routes it’s setting up for its future means it’s anything but dead in the water.